Sohini Bhattacharya is an intrepid intrapreneur and social change enthusiast who has 28+ years of experience in the social sector. Currently she is the Vice President, Resource Mobilization for Breakthrough, an international human rights organization using multi-media, popular culture, leadership development and community mobilization strategies to promote values of dignity, equality and justice. At Breakthrough, Sohini is responsible for establishing a strong resource base, contribute to institution building and think strategically about sustainability. Prior to this, Sohini had helped found two organizations working with women, worked directly with grassroots communities on livelihoods projects and built market-artisan interfaces. 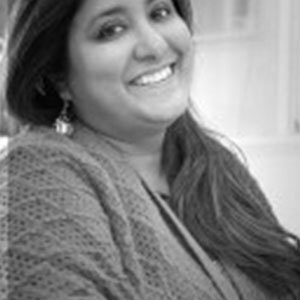 Before joining Breakthrough, Sohini spent 10 years at Ashoka Innovators for the Public, an international organization building an ecosystem for social entrepreneurs, first ramping up the India program and then working on institution building for Ashoka in South Asia.